To catch up on some birthdays. My friend Florist Erin (I call her that cuz she's a florist and I have like 5 friends name Erin) celebrated her 30th birthday at the end of August. 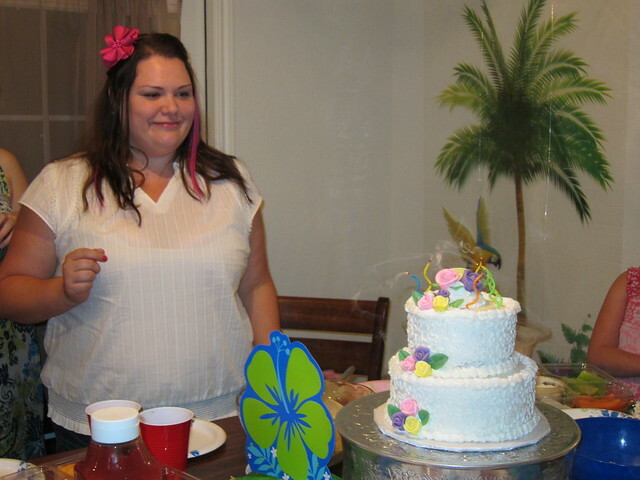 Her husband Jason threw her surprise party with a Hawaiian Luau theme. 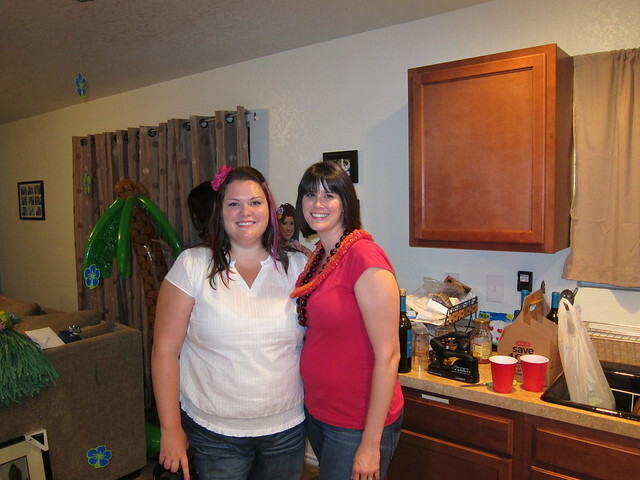 At the end of September another good friend Stephanie celebrated her 30th birthday too. 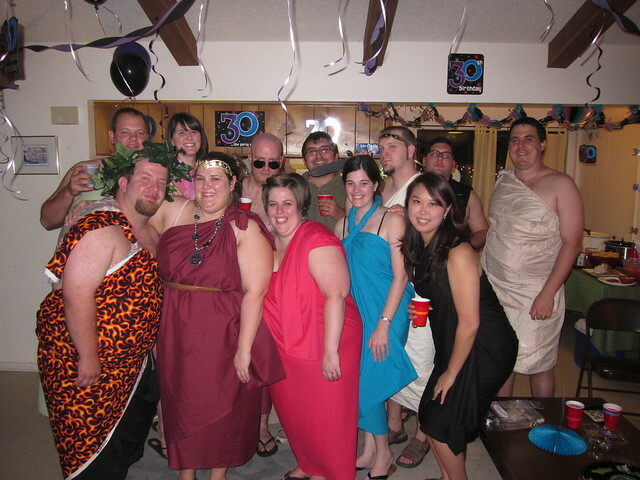 She threw a toga party to celebrate. I had originally suggested a White Trash theme. 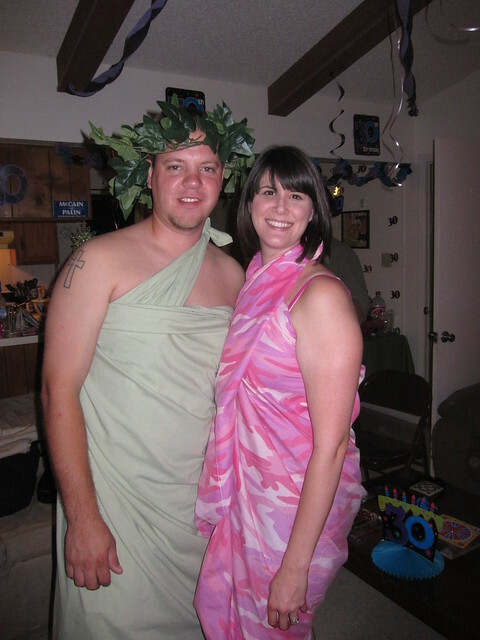 I decided to go with mine and her's when I made my toga choice. I'm just glad I've got another year and a half until I have to start worrying about the 30s. 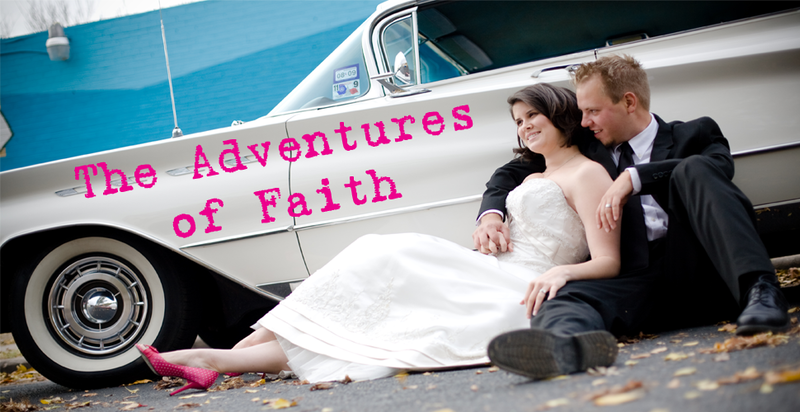 At least I'll have an contingent of friends that have survived the milestone when my turn comes! What fun friends! Happy birthday to your old husband. Old husband's are the greatest! Happy belated birthday John!